Well I am going to make this short and sweet. I thought the THANK YOU picture would be the last POW. But I could not bring myself to end on this blogging note with a blurry picture! So I thought I would add this one last minute! Here is the full picture.. cute huh! 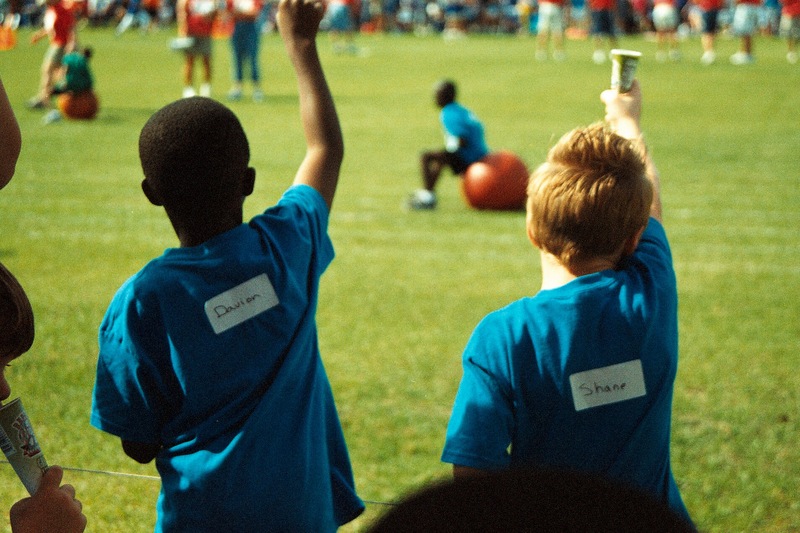 It is my newphew with his friend from school cheering on his classmate at field day! Picture of the Week!… Well since I have been slacking in this department and it is almost the end of blogging… there will be more changes in the picture of the week area! 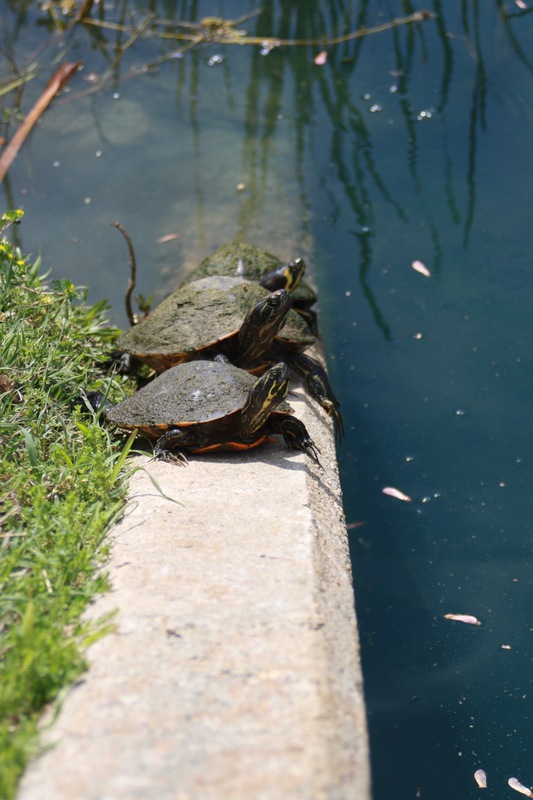 This picture is of three turtles I found sunbathing on the GSU campus. This picture was pretty lucky because right after I took it they spotted me and dove into the water! Since summer is here I figured this was a great picture. Everyone is out by the pool and feeling the end of the semester crunch! I know I am! This weekend I have been watching a lot of Ax Men on the History channel. In case you havent seen this show, it is about forestry crews in California and swamp logging in Florida. Probably my favorite guy on there is Swampman Shelby Stanga. He grew up on the swamp and says that he will die on the swamp. His dog Big Willie is the cutest/funniest dog. One of the episodes Stanga pulled in a really high price log, so he shouts to Big Willie “Turtle soup tonight!” There are a lot of funny characters on the show so if you need a good laugh watch Ax Men on the History channel. Where Will You Be Going for Spring Break? Picture of the week is inspired by SPRING BREAK! No I am not going to Alaska… (Im not going any where that cool for spring break) but many of you will be going to some cool places so this is inspiration for yall! This photo was taken by a very good friend of mine who visited Alaska last June. This picture was taken when he rented a small plane to ride around Alaska. What a great shot! This photo would not have been as great if it was taken by foot on land. 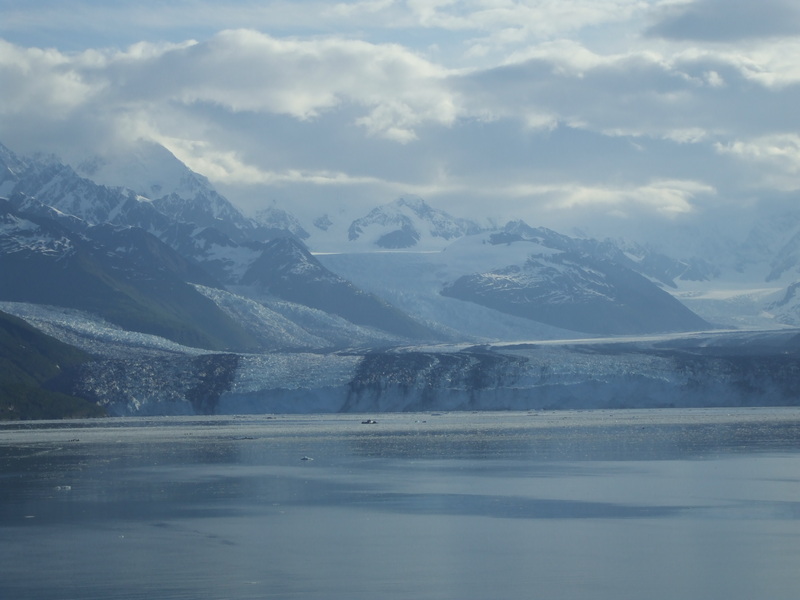 One of these days I would like to visit Glacier Bay and take these beautiful pictures! Hope every one has a great spring break! As you can see by this week I have been neglecting my blog. I am sorry for all of you who might look forward to the picture of the week. I hope this week’s photo will make up for my lack of blogging. 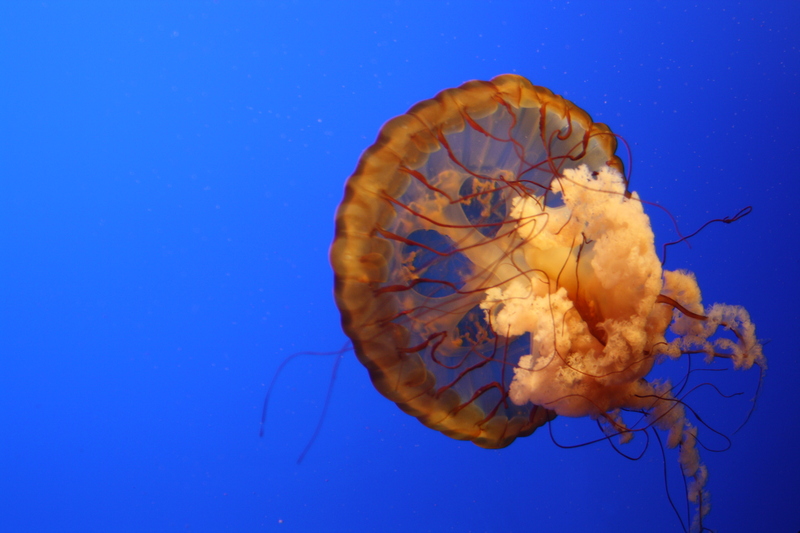 The picture is from the Ripley’s Believe it or Not Aquarium in TN. Great aquarium I might add. I picked this photo because I just found it hidden on my computer and really have enjoyed starring at its vibrant colors. As we have been learning about news releases and catchy headlines to bring in readers, I decided I needed a catchy, vibrant photo for the top of my blog to try to bring readers in! Please enjoy the photo and hopefully next week I will be more on the ball. This picture is exactly what the caption says… the roads in Rhodes. Rhodes is a Greek island and it is an incredible little island! The main attraction that we went to were the castles. The whole island had a very medieval feel. 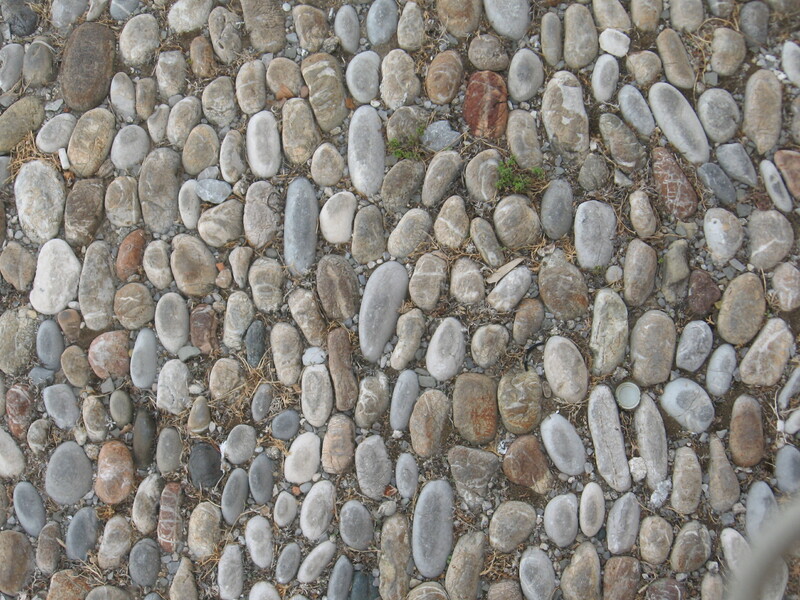 I thought the roads were very interesting, when do you ever see every pathway made up of just stones? To go on this island I would advise great shoes. That means no heals or flip flops! The reason why I picked this photo was because of a desire to eat Rocky Road ice cream! I am Catholic, and Lent has begun. I have given up all sweets! Yes thats right, for every one who loves, LOVES sweets you know what I am going through. It has gotten to that point where you see something, like this picture, and relate it to a sweet. So for all of you who are participating in Lent, Catholic or not, be strong and good luck! Every week I will be changing the picture to my blog. When I change it, I will have a new post in the Personal PRCA 3330 category that will give a description as to why this picture, this week. I realized when I was trying to make my blog better that I needed to change the book image. I have had one of my friends say, “those are some ugly books”. So in the fact that I’m tired of getting made fun of and because I cannot decide on what picture to put up, I will be always changing. A Misappropriation of Personality for these Animals! This is the original picture. It was taken in Greece about 3 years ago. I was in Greece and really wanted some ice cream. Ice cream shops are every where in Greece. 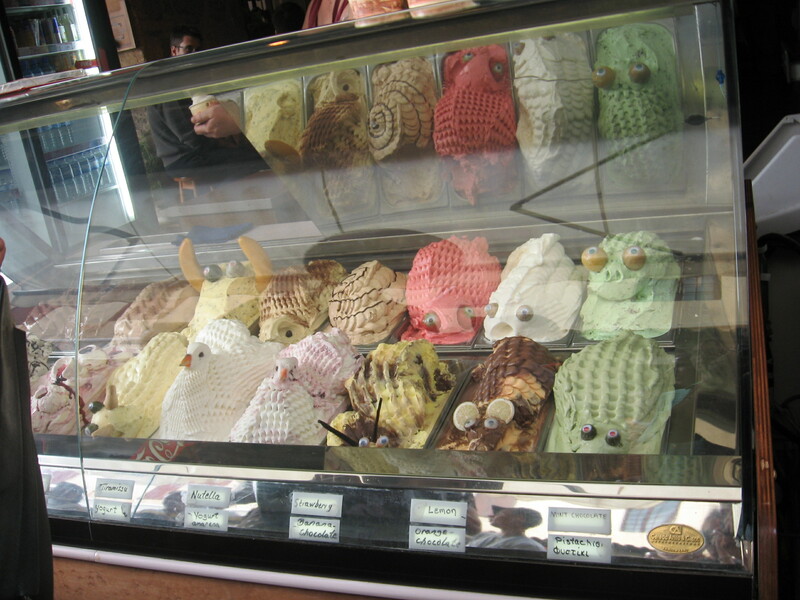 So this shop I went up to had this incredible hilarious display of their ice cream as animals. Of course you would never see this in America! The caption well that was supposed to be a little pun. 🙂 For all those of you who are not related to public relations, according to Public Relations Writing and Media Techniques, misappropriation of personality is the unauthorized use of well-known entertainers, professional athletes, and other public figures in an organization’s publicity and advertising materials.